Welcome back to regularly scheduled programming here at GamedayCole.com. Yesterday was the annual College Gameday season preview, and we have been stockpiling preseason predictions from anyone who wants to throw out any claims, and this is going to be the preseason mega-post leading up to Thursday night’s kickoff. Remember, these are for entertainment purposes only, and we only track these picks so we can look back at then in January and laugh at ourselves. So without further adieu I present to you the officially unofficial preseason Gameday predictions! Big changes to our Gameday experience: Who is in, and who is out? After the historic 2014 season of college football, which included record breaking ratings for ESPN’s college football coverage, I did not expect changes in that coverage. The landscape of college football coverage at ESPN has been pretty steady aside from recent expansions, with very little shakeup in their core coverage. However, this season’s landscape will look very different from years past. To go back in my time running this blog, the biggest shakeup we’ve seen in the realm of college football pickers and prognosticators was Pat Forde leaving ESPN in 2011 when he jumped ship to Yahoo Sports. A few other changes of smaller significance come to mind. Howie Schwab being let go from ESPN in 2013. Craig James’ hair leaving ESPN for a failed political career. Christian Fauria getting the boot in 2013. Dan Hawkins taking a position coaching Team USA to compete against the Japanese. The passing of Beano Cook in 2012. Oh, and also the retirement of Billy the Cat and the addition of the heir to his legacy; Charley the Cat. Considering that I’ve tracked around 65 analysts (in addition to dozens of celebrity guests), those changes are pretty small. That all changed this offseason. College Gameday itself has had a core of Corso, Herbstreit and Fowler since 1996. 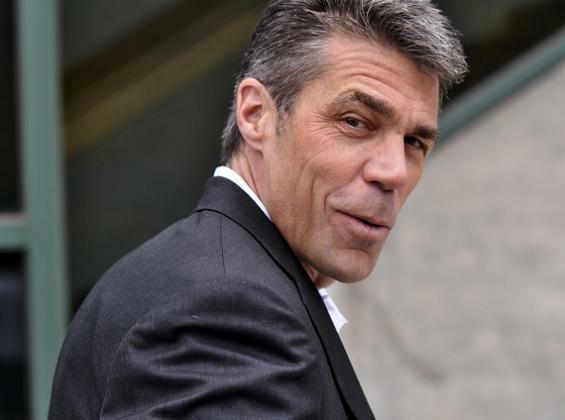 Corso was with them from the beginning in 1987, and Herbie joined the party in 1996, but it has been Chris Fowler anchoring the production since 1990. In a surprise announcement which shocked fans of College Gameday, Fowler announced he was going to willingly step down from his hosting duties on College Gameday in order to focus on his duties replacing Brent Musberger in the biggest game on Saturday night, and his passion for covering the game of tennis. While his replacement Rece Davis is no slouch, there is no one finer when it comes to college football coverage. He can capture the drama and magnitude of games as well as Musberger, yuck it up with Corso and Will Ferrell on any Saturday morning, and deliver news on sometimes harsh realities of the sport with the class of Walter Chronkite. It is a shame we are losing him after 25 years, but that’s one heck of a run in one position. While only picking games rarely on College Gameday, and many of them being absurd TRIPLE-NOT-SO-FASTS, he retires with a Gamedaycole.com record of 29-18 (61.7%). I can only hope the hundred dollar bill question from College Gameday does not retire with him. 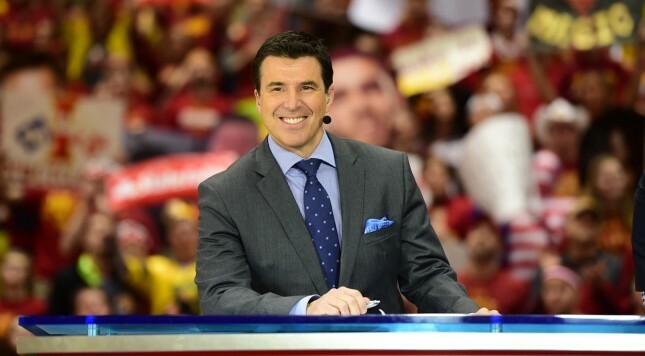 In his slot, Rece Davis will be stepping in, and I’m sure he will do great. Rece is no stranger to College Gameday, hosting the college hoops edition since 2005. He has a perfect combination of a sports almanac for a brain, a smooth delivery, and enough self-deprication in his sense of humor to don a judge’s rope and listen to Lou Holtz and Mark May yell at each other every Saturday night. We look forward to his addition to the College Gameday team, and he brings with him a lifetime Gamedaycole.com record of 5-3 (62.5%). 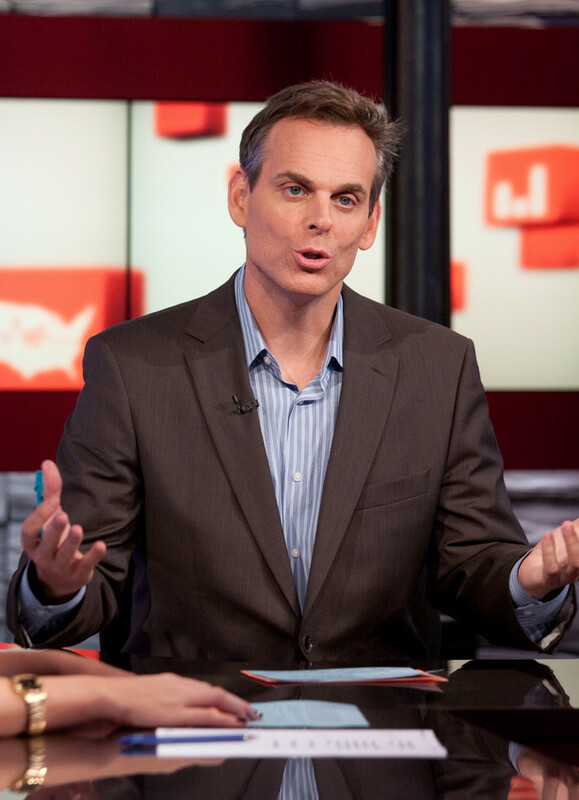 The next biggest change (possibly bigger depending on your tastes) is the departure of Colin Cowherd to parts unknown. After three seasons as a Gamedaycole.com champion (08, 09, 10), his status as a competitor on this site is unknown. He is rumored to be headed off to Fox Sports, Sirius XM, or some combination of both. I would assume he can pick college football games for another media outlet just as easily as he did at ESPN, but until some announcement is made and he starts broadcasting somewhere, his picks may be on hiatus. As he departs ESPN, he takes with him one of our all-time best records at 526-217 (70.79%). Holtz, Davis, May: OUT, IN, and OUT! The next big tree to fall in this offseason was none other than Lou Holtz (or Dr. Lou as you may know him). In what was described by Sports Illustrated as “closer to a mutual agreement between the parties than Holtz getting fired”, this will be the first season we don’t see Lou Holtz since he joined ESPN in 2004. At the age of 78 maybe he decided it was time to hang it up, or maybe he wants to focus on his public speaking engagements. Maybe he will show up on NBC on Saturdays to pump up Notre Dame before each game. Whatever he decides to do with his newly-found free time, we know for sure it will be a much more solemn Saturday if you are a fan of Notre Dame (or South Carolina or Arkansas for that matter). Noone on ESPN had an undying loyalty to their own team like Holtz had to his teams, although Desmond Howard looks to be the new leader in the clubhouse of bias analysis. The ESPN studio halftime reports, as well as College Football Final, have been blown apart starting with the departure of Lou Holtz, and while this may not be as big of a single name to leave as Fowler or Cowherd, more dominoes start falling once Holtz is out. As Holtz makes his exit, he takes with him a lifetime record of 240-136 (63.83%). 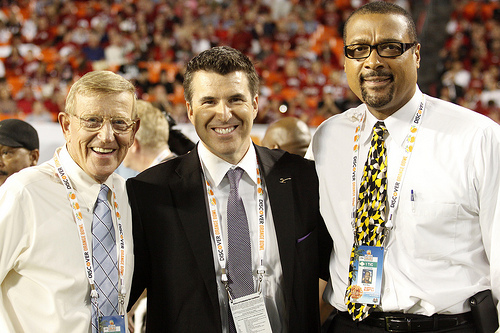 That next domino to tip over is none other than Lou Holtz’s partner-in-crime Mark May. The unlikely marriage of an elderly white coach with a younger former black player, consecrated by Rece Davis, brought us some of the most absurd moments of ESPN’s college football coverage over the years. Yelling matches were regularly scheduled programming. There were victory dances when a debate was settled by Davis. There were tantrums on the part of losers and gloating on the part of winners when “Final Verdict” came to a close. While Mark May isn’t entirely out, it seems that his role continues to diminish. Before Desmond Howard was a regular contributor on College Gameday, Mark May was a regular presence. His argumentative tendencies may have been too much, as he was removed from Gameday, then seemingly removed himself from Twitter, and now has been removed from College Football Final. He will now be sitting in with John Saunders and Mack Brown for a game or two each week on ABC, which doesn’t exactly offer the same amount of exposure. While he was often considered a dunce in the world of picking games, he still takes with him a record of 214-140 (60.45%), which undoubtedly could have been better if he didn’t pick against Lou Holtz on principle so often for entertainment value. Kanell and Galloway: IN and IN! The duty to replace the trio of Rece Davis, Lou Holtz, and Mark May for studio coverage on Saturdays will fall to a new trio of Adnan Virk, Joey Galloway, and Danny Kanell. 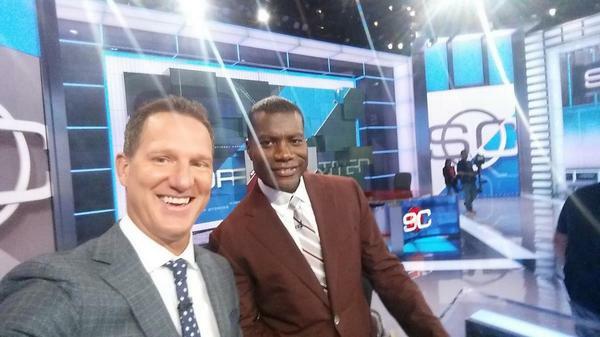 Galloway brings a solid starting record of 26-15 (63.41%), while Danny Kanell brings a 108-56 (65.85%) record. More importantly, Kanell brings a world class Twitter trolling record as he takes every opportunity to stick it to the SEC fans. While some may be concerned that he will be toning it down in his new position, given the fact that he is replacing world class troll Mark May I don’t predict we will miss out on any of Kanell’s antics. Kanell used to be in the third ABC spot with John Saunders and Mack Brown (a spot formerly owned by Jesse Palmer), so it is interesting that he is literally swapping spots with Mark May. The third member of the trio, Adnan Virk, is just Adnan Virk. Solid studio man with no record of picking games. 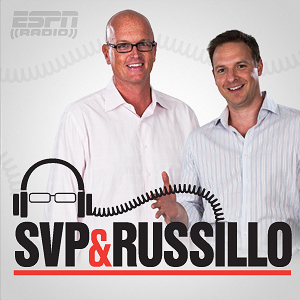 The next change saw the forced breakup of the SVP & Russillo show by ESPN. I guess it may not have been getting the ratings it needed, but this show will be sorely missed by college football fans as well as degenerate gamblers. “WINNERS” is now a thing of the past, given the fact that Scott Van Pelt will likely not be picking games while he hosts Sportscenter at nights, as well as the fact that Russillo was always pretty half-assed in his engagement of the “WINNERS” segment. While SVP takes a weak 32-24 (57.15%) record with him, his specialty was without a doubt picking against the spread (underdogs 99% of the time) rather than straight up winners. Ryen Russillo is hosting his own show, and taking an 84-54 (60.87%) record with him. The smaller tragedy is the loss of Stanford Steve Coughlin, who went 73-38 (65.77%) as our newcomer last year. 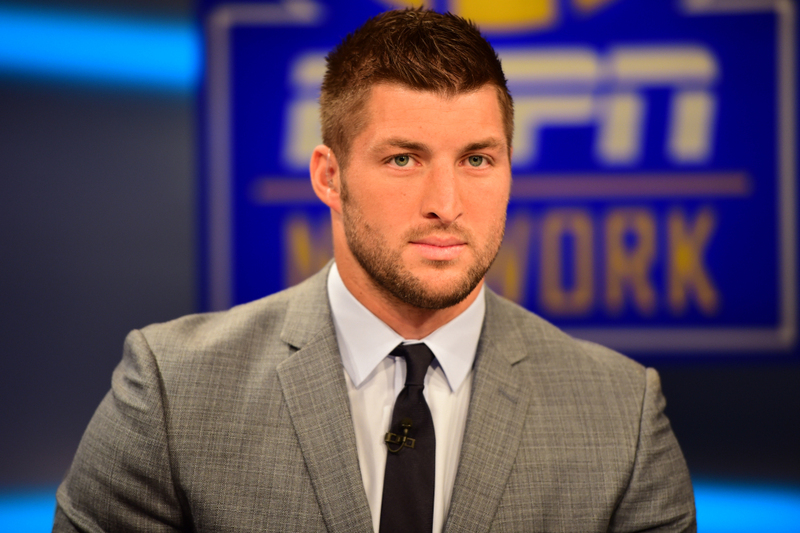 The next loss of this offseason is that of young Tim Tebow. As Tebow continues to chase the dream of being an NFL quarterback, he has signed on with the flock of other quarterbacks currently in Eagles training camp. While I don’t know anything for sure, I would assume that the NFL probably takes priority over his duties on SEC Nation on Saturday mornings. But assuming it doesn’t work out in the NFL (again), I think its likely that this will be a temporary hiatus for the chosen one. He takes with him a 48-23 (67.61%) lifetime record on our site. 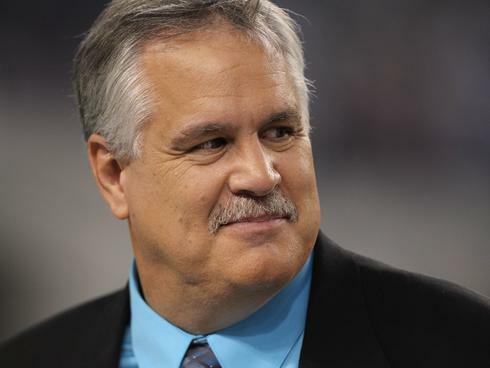 The last change of the year is the loss of one Matt Millen, who has decided to jump ship to the Big Ten network and Fox Sports 1. While he may still be contributing and picking games over there, I am not sure I have the time (or patience) to sit through that much Purdue coverage to track his picks. While universally hated by most college fans and all Detroit Lions fans, he actually has some of the best analysis I’ve seen. Howerver his reputation for destroying the Lions from the inside has tarnished him beyond repair in the public eye. I know there will be at least one person who misses him as he departs with a 26-8 (76.47%) record. While we may be seeing the end of a golden age of college football coverage, I think it is important to focus on the fact that coverage is not being reduced. It may be expanded further as the college football playoff comes into maturity in addition to ESPN’s decision to embrace gambling odds into coverage. More importantly, you can count on our crack team of experts to continue tracking picks and predictions on Gamedaycole.com. At least until ESPN shuts us down.